Dr. Trevor Charles is a professor at the University of Waterloo. He is also the co-founder and CSO of Metagenom Bio Inc., and director of the Waterloo Centre for Microbial Research. This month we discuss synbio, regulation, and science advocacy with Professor Trevor Charles. Dr. Charles has been a professor in the department of biology at the University of Waterloo for 20 years and has been a strong advocate for synthetic biology research, both at Waterloo and in Canada. He is also the co-founder and CSO of Metagenom Bio Inc., which develops and commercializes microbiome solutions in environment and agriculture. He received his PhD in molecular biology under Prof. Turlough Finan at McMaster, studying the genetics of Rhizobium meliloti. His current research continues to focus on the study Rhizobium species and interactions with their eukaryotic hosts. His group has also developed novel functional metagenomics methods and in 2015 he received an Ontario Genomics SPARK award to engineer biological approaches for the recycling of waste methane into bioplastics. He recently became the director of the Waterloo Centre for Microbial Research (WCMR), a new multidisciplinary initiative using microbiology to benefit the economy, environment and human health. He is also very active with science advocacy and outreach on twitter and can be found @trevorcharles. How would you define synthetic biology, in one or two sentences, for a lay reader? Definition is one of the hardest things about synbio. It is one of those things that you either intuitively understand, or don't get it at all. I think that is one of the problems in getting the message out to outsiders. I very much like the idea of applying engineering principles to biology, with a strong implementation of technology such as gene synthesis, gene editing, and genome engineering. Could you explain some of your recent research related to synthetic biology? I am a bacterial geneticist, so I like to think that I have been working in synthetic biology since before the term was coined. The great thing about bacteria is that you can manipulate the genome at many different levels. For example, my grad work involved making large genome deletions with defined endpoints. We have also developed ways to stably integrate DNA segments into defined regions of bacterial genomes, and to produce bioplastics with novel properties, in some cases using DNA isolated from metagenomic libraries. Some new work involves engineering methanotrophs to produce bioproducts using methane as carbon source. This is interesting because methane is a potent greenhouse gas, and is also one of the least expensive carbon sources, being produced in wastewater treatment plants, landfill sites, biogas plants, as well as being present in abundant natural gas reserves. Do you think that the synthetic biology research output from Canada has kept pace with other countries or is Canada falling behind? What needs to change? Are there any advantages that Canada offers? Definitely not. We have very little synthetic biology research in academia, and hardly any commercial activity. There is lots of interest, for example through iGEM, but it hasn't really caught on at other levels. I don't know what advantages Canada could offer. We certainly don't have any presence on the international stage. A bold move would be for a funding agency to allocate funds towards unfettered synbio research, with no requirement for co-funding for industry partners. As it stands, there is very little capacity for synbio in this country, because it hasn't been supported by research funds. As an example, one might have expected the Genome Canada Disruptive Innovation in Genomics competition to be dominated by synthetic biology. This was not the case. Canada has lots of potential, but limited developed capacity. Do you feel that the Canadian regulators and funding agencies strike the right balance between supporting progress in synbio vs limiting the risks involved in a new field? If not, where can Canada improve and are there other countries with funding/regulatory models we might look to for examples? The focus should be on funding scientific research rather than studies on risk. We will never develop a strong synbio community by focusing on risk. And focusing on risk will give Canada a reputation of a precautionary jurisdiction to be avoided for synbio investment. Not a good idea. Just look at what has happened with Europe and agricultural biotech. The stifling regulatory climate there strangles biotech development. You have an active twitter presence where you regularly post about scientific topics. In your opinion how important is outreach and public education to the success of synthetic biology and the potential GMO products it creates? Do scientists communicate enough? Outreach is incredibly important. But there will be limited success in trying to educate the public about the safety of GMOs and synthetic biology. What really needs to be done is to get people to be enthusiastic about science in general, and to understand how science is carried out. What are scientists excited about, and why? What technical developments arise from scientific advances? What is the role of serendipity in science? Application of science to challenges in agriculture, health and environment, and how it makes our lives better. Canada has an unenviable record of harbouring fierce critics of biotech, such as CBAN and ETC. In some cases there are close links between these anti-science groups and some academics in Canadian universities. A campaign by CBAN was instrumental in killing the Enviropig project, based at University of Guelph. Ironically, the Enviropig was developed to reduce environmental impact of raising swine, and many the fiercest opponents considered themselves to be environmentalists. Arctic Apple and Aquadvantage Salmon were developed in Canada, and should be celebrated as Canadian innovations, but how often do we hear about them in a positive context? It is remarkable that they were able to make it through the regulatory process. Hopefully, the regulatory system will evolve along with the application of new genome editing technology, and new traits will make it to market in an efficient manner. Are you optimistic about synthetic biology in the future or do you feel it has been over-hyped? Is there any specific industry where you think synthetic biology research is currently making a real commercial impact? Yes and no to hype. But I think the general public is surprisingly unaware of synthetic biology. The industry that I think has the greatest potential to benefit in the short term is agriculture, both plant and animal. In the long term, what do you see as the biggest obstacle to the goals of synthetic biology? Do you think synthetic biology/bioengineering will ever resemble other more mature engineering disciplines (ie mechanical, civil, electrical)? Biology is complex. The biggest challenge is how to deal with and overcome this complexity. Hopefully there will be opportunities for Canadian scientists to address these challenges. Do you have any suggestions as to the future steps SynBio Canada can take to promote synbio research in this country? I think raising public awareness about synthetic biology and its potential applications is important. Op-eds, newspaper and magazine articles, radio and TV interviews, and social media are all activities that could contribute to this. Perhaps SynBio Canada might be able to coordinate some of this. More information about Dr. Charles's research can be found at his website. More information on Metagenom Bio Inc. can be found here. For information about the WCMR and ongoing initiatives at the University of Waterloo, see here. As part of SynBio Canada’s continuing efforts to grow the synthetic biology community, we’ve begun reaching out to researchers both in Canada and abroad. The reception has been incredibly welcoming, which has left us with an abundance of researchers to connect with. This article is the first in a series of Quick Chats, meant to highlight the diverse range of research interests and ideas within the community. Dr. César de la Fuente Nunez, a Postdoctoral Associate and Ramon Areces Foundation Fellow at MIT, working with Prof. Timothy K. Lu. Dr. César de la Fuente Nunez is a Spanish-Canadian synthetic biologist, where he received undergraduate training at the University of León, then moved to Canada to complete a PhD at the University of British Columbia. César is currently a Postdoctoral Associate and Ramon Areces Foundation Fellow working with Prof. Timothy K. Lu at MIT. 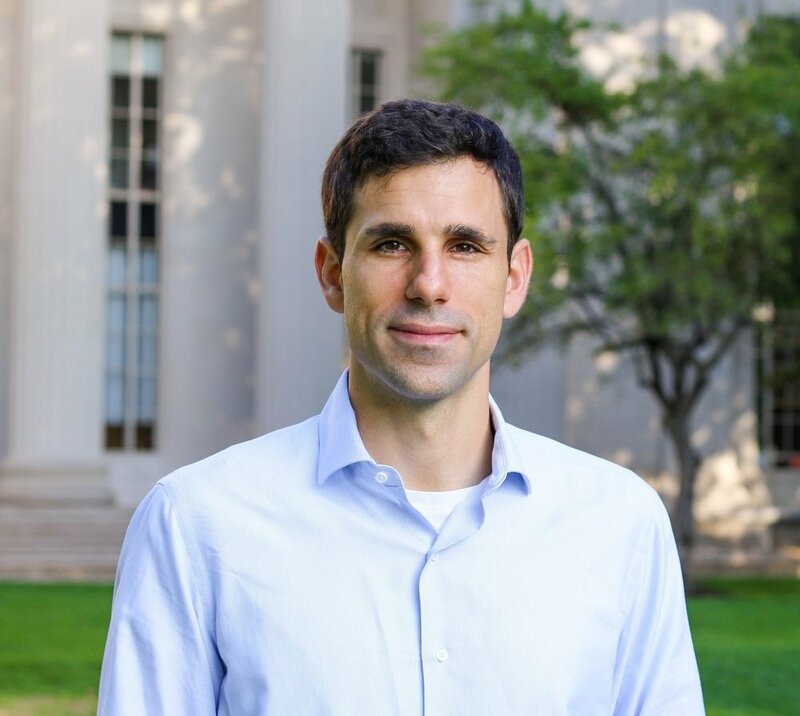 He has a passion for both science and soccer, and with another MIT colleague he’s the coach and plays on the MIT FC. César is interested in fostering a robust synthetic biology community, in Canada and abroad, so we sat down with him to discuss his ideas about the field. Where does your interest in synthetic biology stem from? What are your working on right now? I believe synthetic biology can be used to build truly innovative new technologies to solve real world problems. In my research, working at the intersection between synthetic biology and computational biology, I engineer biological systems (such as tiny proteins) to make novel potential medicines. One of the global health challenges I have targeted through my research is that of antibiotic resistance. With my collaborators around the world, I have provided an array of solutions to combat drug-resistant infections. Your research background is incredibly diverse, from materials science, to genome editing, to microbiology. Where does synthetic biology fit into all of this? Synthetic biology converges all these fields. I would argue this is the power of this emerging field, that it bridges different disciplines to create new technological tools and advances. Getting people from all these fields to interact, brainstorm and share ideas has been transformative and has enabled synbio to evolve into what it is today. In what industries or applications do you foresee synthetic biology having the greatest impact in the next 10 years? What are you excited about? Dr. de la Fuente Nunez recently published his work to create a yeast-based system for the rapid production of anti-microbial peptides. Link to paper. Image: Ella Marushchenko, provided by Dr. de la Fuente Nunez. The medical field. But I also foresee practical applications in bioremediation, energy and catalysis. At the moment, I am personally most excited and most personally invested in trying to translate synthetic biology-based applications into the clinic. What programs or initiatives have worked well to support synthetic biology research? I think the support from universities and governments is key here. In addition, I believe the field has benefited from conferences dedicated entirely to synbio, and to journals such as ACS Synthetic Biology from the American Chemical Society, which focus exclusively on this field. MIT has a strong synthetic biology background, with a diversity of expertise. Is there something unique about MIT that has fostered this? MIT was one of the first strong supporters of this new field, and this is clearly reflected in the institution. We have the MIT Synthetic Biology Center (where I work) that houses some of the most brilliant minds in the field, including some of its founding fathers. The interdisciplinary nature and lack of boundaries of MIT as a whole has definitely boosted the development of a strong synbio community. Are there specific resources you would find useful for strengthening synthetic biology in Canada? What would make Canada more attractive for synthetic biology? I believe combining efforts among groups interested in synbio, for example through regular meetings/conferences, etc. will certainly strengthen the synbio community in Canada. Having a genome foundry would be a great resource and strengthening ties with industry would also de highly desirable. Federal funding would also need to back up this emerging field. In the US, not only NIH, but also DARPA and DTRA among others have been instrumental in funding and supporting synbio efforts and initiatives. How can the interdisciplinary nature of synthetic biology be better leveraged, and avoid isolating researchers into many individual departments? Have you faced any challenges communicating synthetic biology either to the public or to other academics? Science is becoming increasingly interdisciplinary and collaborative, and I think the field of synbio has benefited from this. Most tools and scientific advances developed within the field of synthetic biology have a “real world” application. Therefore, I would argue that it is actually easier to communicate such advances to the public. Because the public can easily relate to the societal problems synbio is trying to tackle. Synthetic biology is often characterized as a tool for conducting research, while others define it as a distinct field with a primary focus on applications outside of the lab. What’s your own definition of synthetic biology? I see synthetic biology as a discipline of disciplines. A converging field that borrows concepts from classically distant or unrelated fields such as engineering, computer science and biology.